The CoffeeShop Blog: CoffeeShop Mellow Yellow Sunshine PSE/Photoshop Action! CoffeeShop Mellow Yellow Sunshine PSE/Photoshop Action! I love capturing beautiful light in my photos, but sometimes I can't get the desired artistic effect "in camera". This doesn't limit me at all since it is so easy to add all types of beautiful lighting effects using Photoshop, PSE, or LR. It might not look 100% realistic, but when you are creating photography art for yourself, realism is not always necessary or desired. Today I want to introduce a new, very fun action called Mellow Yellow Sunshine (thanks Christylemon for the name!). 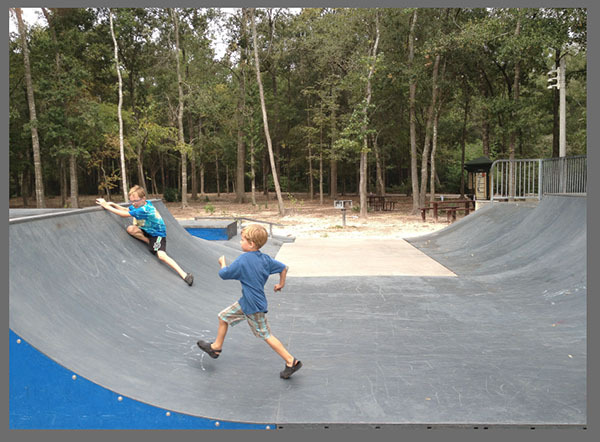 This action applies adjustable sunbeams where light is coming through trees/buildings and adds a subtle yellow tint. I am going to post the Action UnWrapped step-by-step tutorial next so you can see what is going on while the action runs. Here is my before image. You must have areas of open sky seen through trees or buildings for this action to apply the light beams properly. Start CoffeeShop Mellow Yellow Sunshine. The first prompt will allow you to change the direction of your sunbeams. Simply dial them in (circled in the screenshot above). I keep the Distance set to 999 pixels. As you can see the action is capturing the open areas of light and making it stream through the trees. 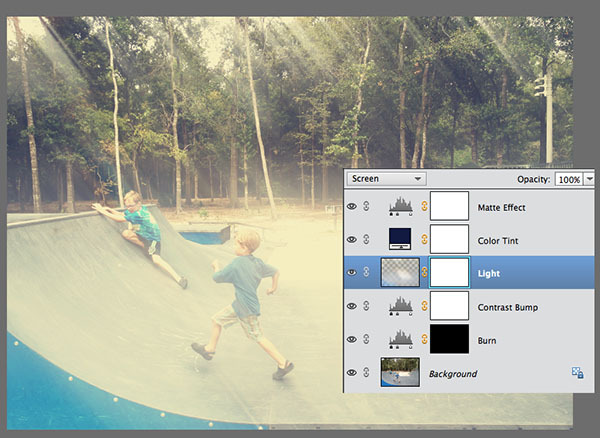 The second prompt allows you to blur the sunbeams. Adjust this to taste. After the action runs you will probably see too much light on your image. Sunbeams appear wherever there are lighter areas in your image, so you will probably want to selectively remove the light. 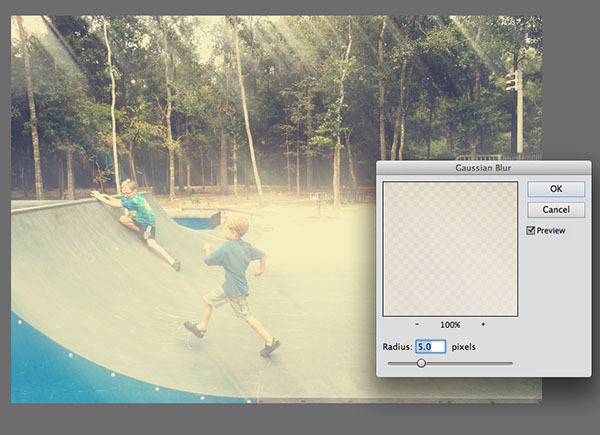 You can also adjust the opacity of the Light layer if needed. I usually keep it at 100%. I used a black, soft, 100% opacity brush on the Light layer mask to remove light from the lower part of the image. 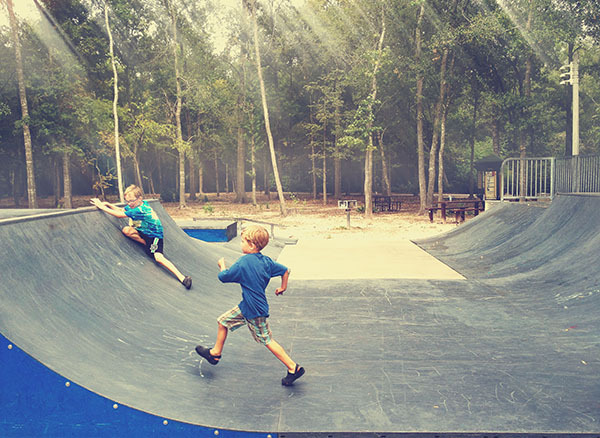 You have to make a creative call on this, there is really no right or wrong way to edit the light. I also wanted to burn in (darken) the bottom part of the image to make it pop, so I clicked on the Burn layer mask and painted over the bottom of the image with a low opacity, white brush. Here is my finished image. I love the light streaming through the trees. 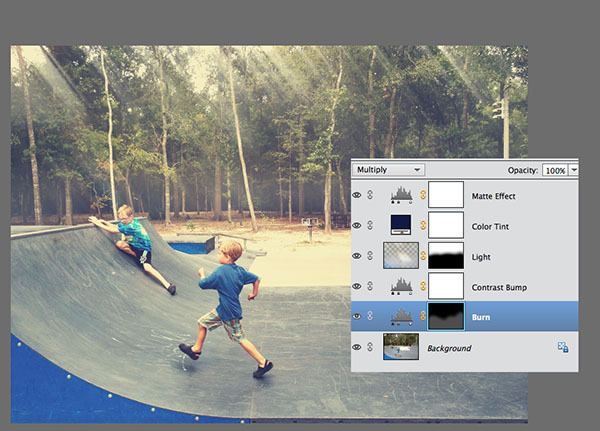 You can adjust the Matte Effect, Color Tint, and Contrast Bump layers to taste. I hope you enjoy making your own artistic sunlight edits using this action! 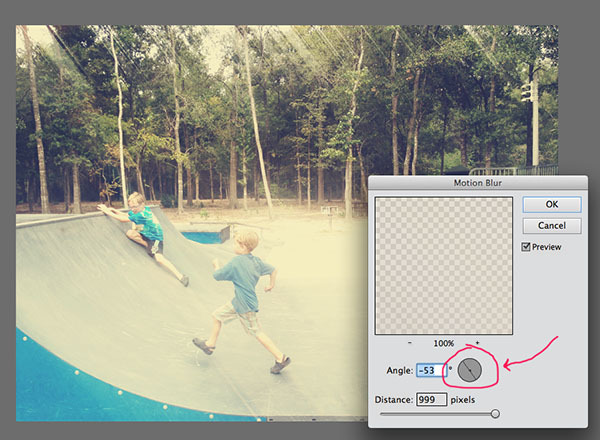 The step-by-step editing tutorial will be posted next. 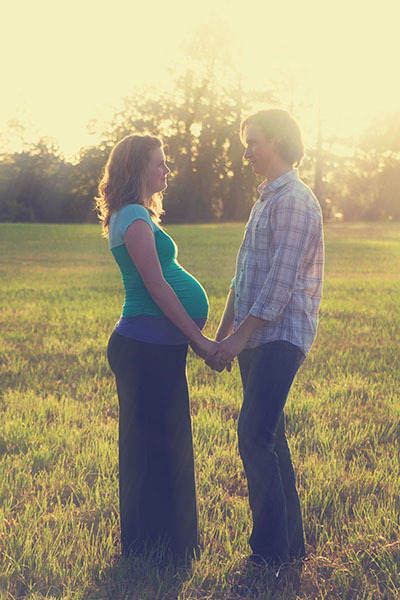 Here is an image of K&D I edited using Mellow Yellow Sunshine. K had her baby yesterday!!! 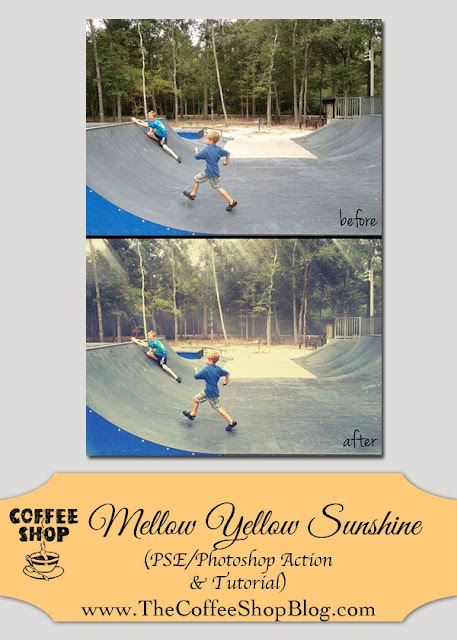 Download the free CoffeeShop Mellow Yellow Sunshine Photoshop/PSE action. You can also download it here. Do you want to download my favorite CoffeeShop Actions or Design Elements in one convenient zipped file AND help support this blog? Just click here for my action pack or here for a download of some of my most popular design elements, storyboards, and textures. 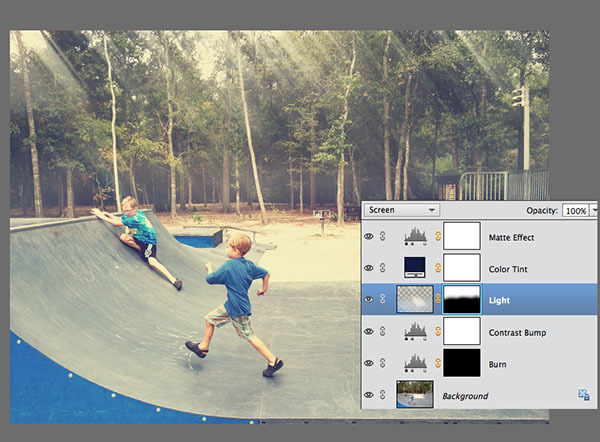 Photoshop and PSE11 users have the additional benefit of getting all of the actions in one simple group! and use it quite a bit. This one will give me an optional way to add sunshine. Awww, I'm so glad you used my suggestion. I love, love, love your freebies...this is just a little payback! Thanks, again, for all your great tips. You've helped me become a better artist! Thank you so much Christylemon, I loved your suggestion! And thank you Deb, I love figuring out new ways to add sunshine. Played with your Mellow Yellow action and posted on my website http://peabea.com and gave credit and link to you. It is a fun action that I'm planning to try on some other photos. Thanks so much for sharing.